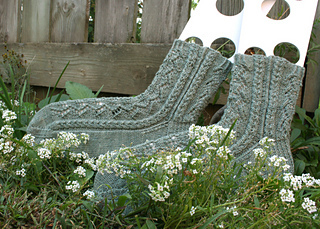 Garden Path is the third and final pattern in the Spring Garden collection. One of my favourite times of year is when spring, slowly turns to summer. The world becomes increasingly greener as foliage unfurls and thrives in the warming weather. 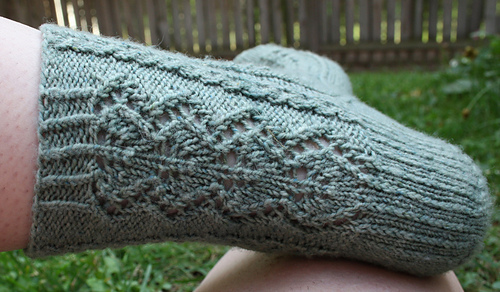 Using a soft and squishy, 100% merino yarn, you can knit your way through the end of the season. 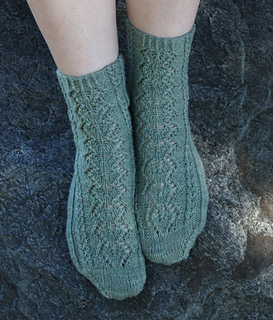 Follow the path of lacy leaves, nestled between two columns of sturdy horseshoe cables and create a feminine sock to keep you warm on those cool spring nights.